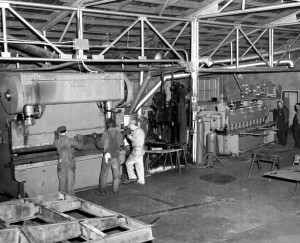 ROGERS Manufacturing Company was founded in March of 1946 by Mr. J. T. (Cub) Rogers, along with his associates, H. E. Wolfe and Thomas H. Phelan. 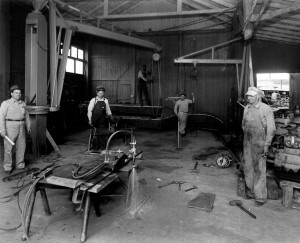 All three men had construction-oriented backgrounds and established ROGERS Manufacturing originally for the purposes of manufacturing rock carts, lowboy machinery trailers, and ferry boats alongside miscellaneous repair service. In 1949, Mr. Rogers’ interest in rock carts evolved to mounting prefabricated dump bodies built by Daybrook on the back of truck chassis. He realized quickly there was an opportunity to provide a more customized dump body product to his customers and began building his body under the ROGERS company name. 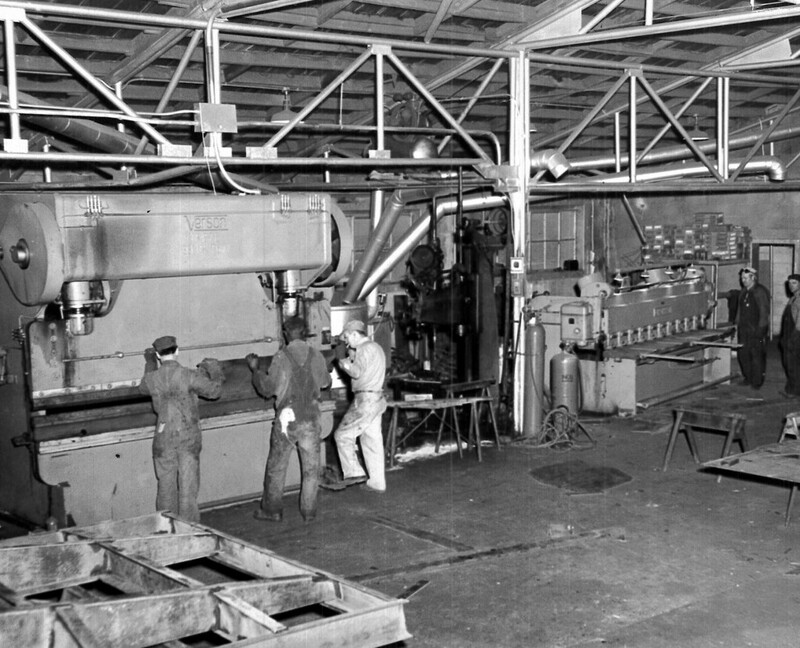 During the Korean War in the early 1950’s, steel became short in supply and was sold on allocation. Structural steel required in lowboy trailer production became especially short, whereas sheet steel for dump bodies was more available. Additionally, dump truck demand surged in East Tennessee as the demand for coal and related mining equipment increased. 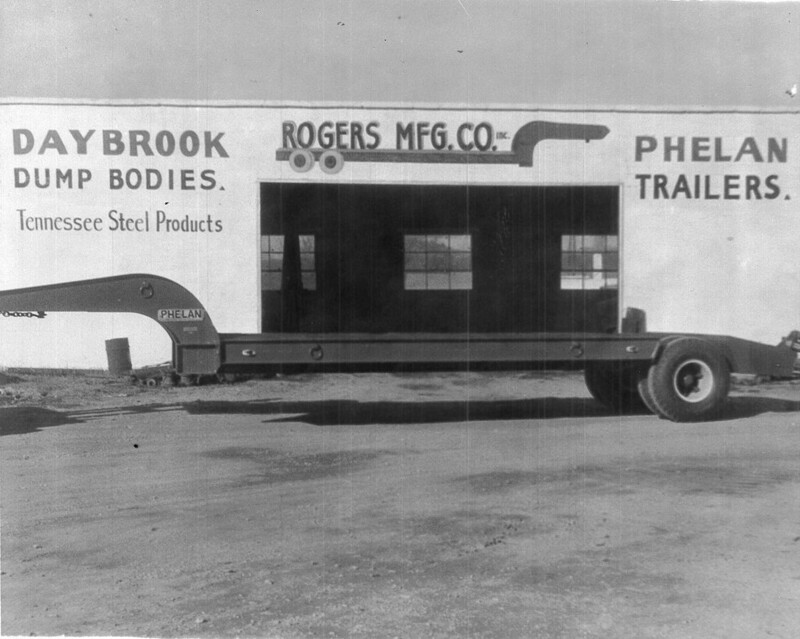 ROGERS continued to manufacture Phelan lowboy trailers at their Nashville location until 1989 when the business was sold to Talbert Manufacturing, Inc. The “ROGERS” name became a standard in the dump truck industry, representing quality craftsmanship and extremely high level of service. Due to health reasons, Mr. ROGERS sold to a group of Nashville businessmen under the name of Crescent Amusement Corporation. With a commitment to continuing the practices and philosophies of Mr. Rogers, the company has continued to grow. 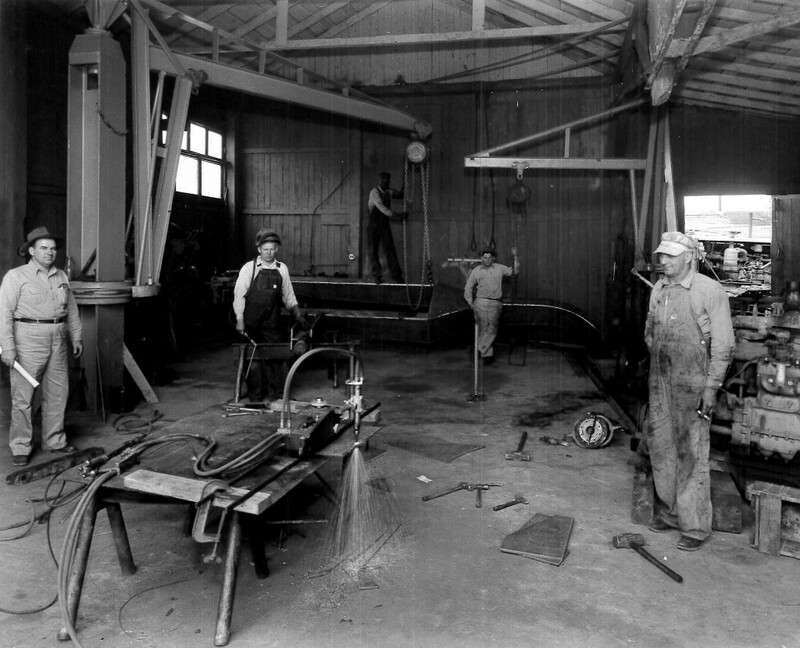 From an original building of 1,500 square feet in 1946, through ten expansions, the Company now operates in 110,000 square feet of manufacturing floor space. In 1985, employees who knew Mr. Rogers formed a company and purchased ROGERS Manufacturing. This group serves as management today and is committed to maintaining the detail and service established by Mr. Cub Rogers. While dump body manufacturers are usually limited to selling, ROGERS Manufacturing has customers from coast to coast. Our designs and craftsmanship is second to none – our customers will not settle for anything less. It is a true testament to what we do, and surely something that would make Cub Rogers proud.